You See This Women Asma Jahangir Criticizing Pakistan Arm Forces and ISI All the time. You also see him talking about Human Rights and rights of Minorities. 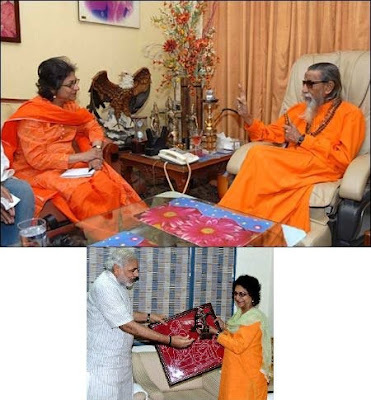 But now you need to see the real face of Asma Jahangir. In her Indian visit she met two of the biggest Hindu Terrorists that are involved in Killings of Thousands of Indian Muslims Bal Thackeray and Narendra Modi. Below are photos of her meeting with there two Extremists.